Hey everyone! JDHJANUS, aka Josh, here. Last night, I had the privilege to finish Sierra’s new game, King’s Quest: The Complete Collection, on PC. Following are my thoughts and perspectives on the game. This review is spoiler-free, so if you haven’t played the game, I won’t spoil any of the plot revelations. First, a little background. For those of you who don’t know, I first encountered the King’s Quest games in 1991, when my sister got a computer from her dad that included the first 4 King’s Quest games (among many other Sierra games) on it. Out of all the games, I remember watching my sister and mom play the King’s Quest games the most, as it was the series that captivated me. We later bought the EGA version of King’s Quest V, and played through it as well. But my sister moved off to college in 1995, and she got a new computer to take with her, and the old one was put up in the attic. I was pretty much without Sierra games for a while. In 1999, however, while browsing through the many big box games at a store called Computer City, I found the King’s Quest Collection Series on sale for $20. I bought it and brought it home and rekindled my love for Sierra adventure games instantly. I was able to play King’s Quest VI and VII for the first time, and I truly fell in love with the series as a whole at that time. I say all that so that you guys know that I’m very familiar with the King’s Quest series. I’ve read the King’s Quest novels, the King’s Quest companions, the official hint books; I’ve even played the trivia game King’s Questions. 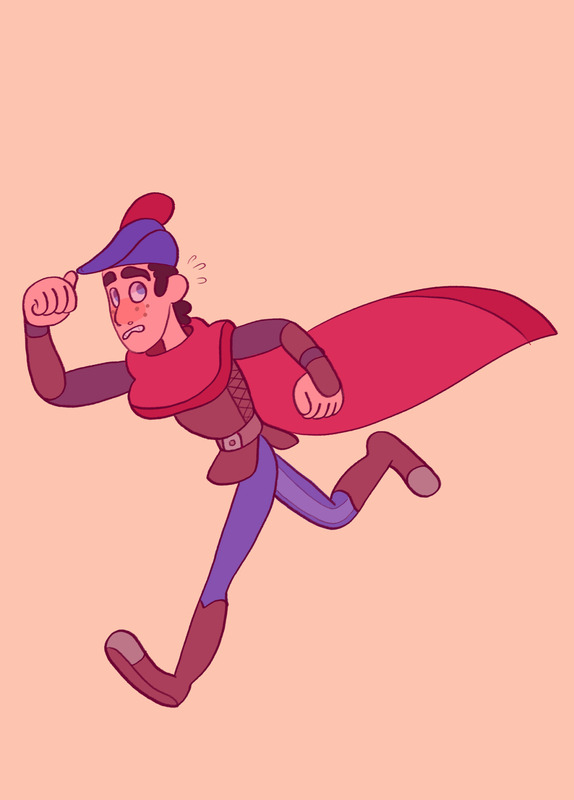 So, when I heard that Sierra was publishing a new King’s Quest game, I got really excited. Developed by indie company The Odd Gentlemen and released episodically in 5 parts (plus an epilogue) from July 2015 to December 2016, King’s Quest: The Complete Collection is unique compared to the other games in the series. It is a reimaging of the series, and for the most part treats the original games as having happened, but fills in gaps that the previous games left. Not to say that the game holds to the strictest canon; it outright goes against it in some regards, but explains it away as the difference between a fictionalized story and the truth. I’ll explain more as I go into the chapters. The entire story is framed with an elderly King Graham sharing stories of his adventures to his granddaughter, Gwendolyn. This framing device, however, is more than just a sequel to the game; your actions and choices in the game have a direct effect on Gwendolyn and how she interacts with the world around her. While this is most apparent in chapter 1, it still reflects throughout the later chapters as well. Chapter 1 tells a story prior to King’s Quest I: How Graham became a knight in King Edward’s court. Out of all of the chapters, chapter 1 plays out most like a traditional adventure game. There is a vast world that is pretty much open from the beginning for you to explore. You go around solving inventory item puzzles and generally trying to help out anyone that you can. The chapter also introduces the main theme of the game: the three routes of Bravery, Compassion, or Wisdom. From pretty much the beginning of the game, your choices specifically influence what path you’re going to take. As a result, the people you interact with respond differently to you. During the first two chapters, you have a lot of choices about which path you want to take, but the latter three limit those choices significantly. This makes sense, as the first two chapters are set with very little time between them, while the later 3 are all set a bit further in the future. 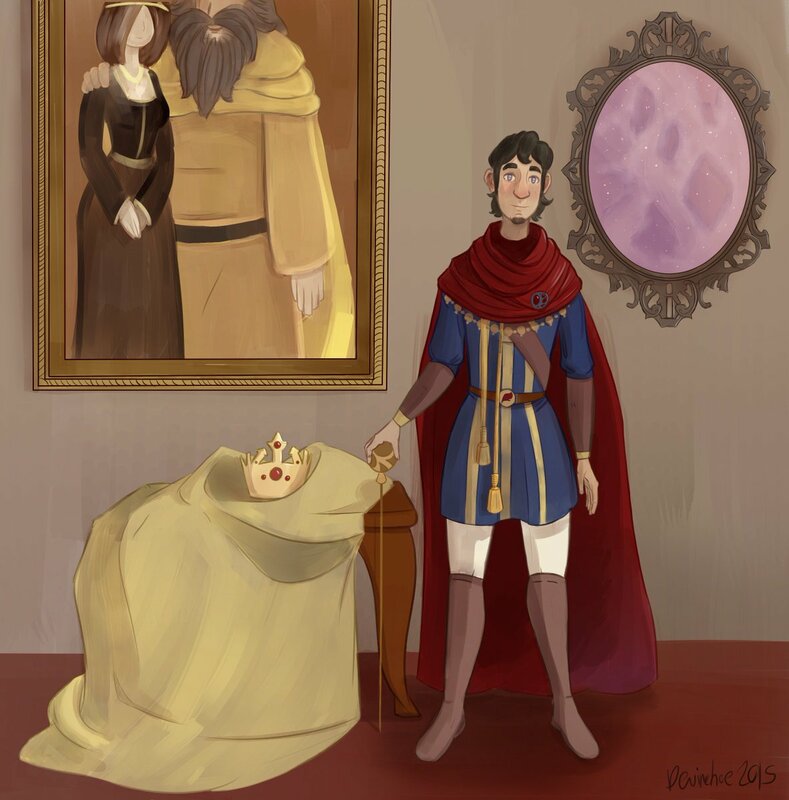 Chapter 2 is set shortly after Graham became king, not too long after King’s Quest I. In this game, you are faced with a much more powerful moral choice. It’s ultimately a game of resource management, but this time, lives are on the line. While there are still plenty of traditional inventory item puzzles that you are faced with, you have the much stronger overarching theme of keeping numerous people alive and healthy, and trying to figure out what’s the best for everyone involved. This is further complicated by one of my biggest complaints with the game: the autosave feature. King’s Quest does not allow you to save your own game. Instead, it autosaves after significant occurrences in the plot, and if you make a wrong choice, you may not like it. The game never forces you into a dead end, but you may not get the ideal ending you might want. While I understand this feature puts a lot more weight into your choices, at the same time, I definitely missed the ability to save the game whenever I wanted. Chapter 3 is what I could best describe as a romantic visual novel. There are still puzzles, but they all are related to Graham romancing Queen Valanice. The game reimagines the ending to King’s Quest II, and it provides a lot more depth to Valanice’s character. This chapter was by far one of the most original in the game, as it was the first to fly in the preconceived notions of the original games, but it did so in such a particular way, that I really enjoyed it. The final chapter wraps up the story, more than likely set sometime after Mask of Eternity. The loose ends get wrapped up, the story reaches its conclusion, and the game even has some really funny throwbacks, where at one point, it literally reverts to an AGI similar gameplay (such as the original King’s Quest I), followed by a conversion to SCI-1 gameplay (with graphics that look like they came straight out of King’s Quest VI). It also has a lot of throwbacks to the first chapter of this game, with a lot of the same locations visited (although MUCH later chronologically). Finally, the epilogue is set shortly after the frame story, and features Gwendolyn embarking on her first big solo adventure. While not very long, it’s a fun little story that could stand alone as a game in its own right, although some of the puzzles were particularly frustrating due to some hot spots not always working correctly. So, overall, I really liked the game. Yes, it did have some gameplay moments that were seriously frustrating, and I think I lost my mind a couple of times in chapter 2 trying to manage all of my resources properly, but as a story overall, the game works really well. The Odd Gentlemen did a fantastic job breathing new life into the King’s Quest world, and I hope that Sierra continues to make more games with the caliber of this one. The game has a stellar voice cast (featuring Christopher Lloyd, Wallace Shawn, Zelda Williams, and my personal favorite, Alexander Polinsky as young Prince Alexander, among many others), and the music was peaceful without being repetitive. The Odd Gentlemen truly wrote the game as a love letter to one of the most influential series in adventure game history, and I’m glad I got to experience the game completely. If you’re a fan of the King’s Quest games, or just adventure games in general, I highly recommend that you pick up a copy of this game!!! It’s almost over!!! After a little over a year, the new King’s Quest game is coming to a close. Chapter 5, The Good Knight, will be releasing on October 25th!!! It’s crazy to think that the newest chapter of the King’s Quest saga will be coming to a close soon, but it’s been a wild ride, and I’m looking forward to the finale. As always, look for the release on the same systems – PC, PS3, PS4, Xbox 360, and Xbox One. We’d love to hear your guys’ thoughts on the new game as a whole, so please chat here or on the Sierra Planet Facebook group and tell us your overall opinions and perspectives of the game! The Odd Gentlemen updated their Twitter today with an exciting announcement!!! Chapter 4 of their King’s Quest game, cleverly subtitled “Snow Place Like Home”, will release on September 27, 2016!!! Just a week away!!! As the other chapters have been, the game will support PS4, Xbox One, PS3, Xbox 360 & PC. Along with the announcement, they posted a new screenshot that shows the Royal Family. It’s weird to see Graham with a beard and Rosella with shorter hair, but overall, it looks like it’s going to be an awesome chapter, and I look forward to playing it! Are you guys looking forward to playing the new chapter? What do you guys think? New concept art for King’s Quest Chapter 4!!!! After quite some time with very little updates, we’ve got quite a bit of concept art that The Odd Gentleman have shared on their Twitter feed!!! They also posted concept art for Rosella as well! Finally, they have announced that a Sphinx character will appear as well! No official word from Sierra or The Odd Gentleman on a release date for chapter 4, but hopefully, it will be very soon!!! Judging from the concept art, I have a feeling we’re going to be seeing a lot of Alexander and Rosella…Perhaps somewhere around the King’s Quest V/VI era, based on the looks of their costumes? We’ll do our best to keep you updated on the latest King’s Quest information as it is released!!! 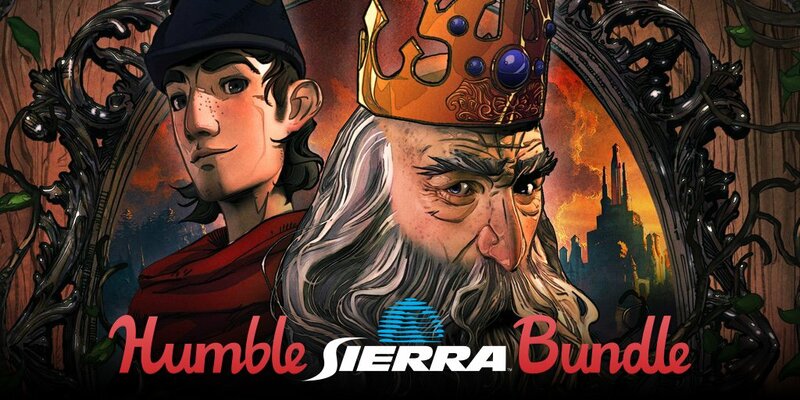 The Humble Bundle has a new bundle that they’re offering full of Sierra goodness!! For paying just $1.00, you get Steam codes for the Space Quest Collection (SQ1 Remake-6), Phantasmagoria 1-2, the Police Quest Collection (PQ1 Original, PQ1 Remake, and PQ2-4), and Shiftlings. If you pay more than the average (currently around $12.50), you also get Arcanum, TimeShift, the Quest for Glory Collection (QFG1 Original, QFG1 Remake, QFG 2-5), and Gabriel Knight 1-3. On top of that, if you pay more than $15, on top of the games above, you ALSO get Caesar 3-4, Geometry Wars 3, the King’s Quest Collection (KQ1 Remake, KQ2-7), and Velocity. Now, to top that all off, if you pay $20, you get all of the games listed above PLUS the new King’s Quest (2015) game by the Odd Gentlemen. That’s 37 games for $20.00!!!! Less than a dollar per game!!!!! The greatest thing about Humble Bundles is that you can choose where you want the money to go! It’s a win-win situation for everyone! Hey everyone! This is the last fan art update for now, but it doesn’t have to be! If you’d like your fan art featured on Sierra Planet, we would love to show it off!!! All you have to do is either tweet a link to Sierra Planet on Twitter or, if you’d prefer, you can email it directly to Kat. Sierra Planet loves to host any and all awesome fan stuff that’s out there, so let us get a chance to showcase the awesomeness of your work!!! Again, if you have fan art that you would like to be featured on the site, please feel free to use the links above! We hope to hear from you soon, as well as to find out a release date for King’s Quest Chapter 4. See you around!!! 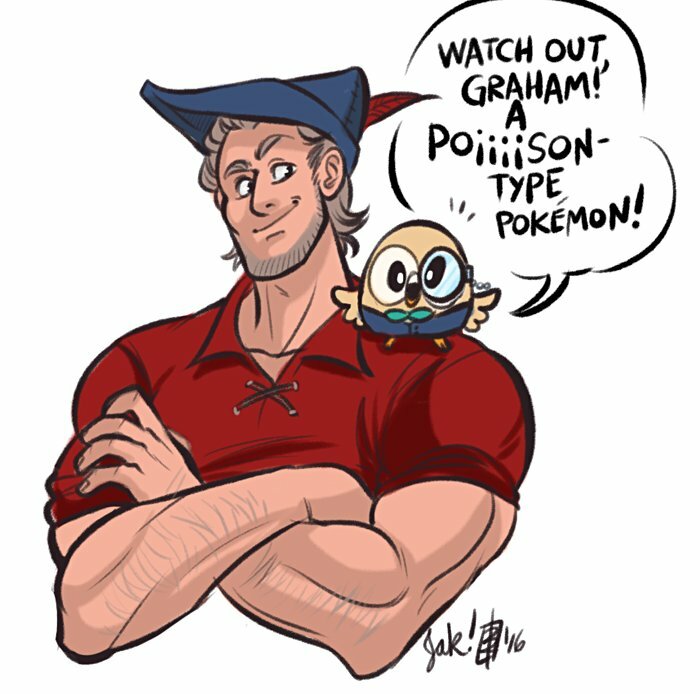 Today’s fan art hails from the wonderful world of Tumblr, and it’s actually two pics! If you would like your fan work featured on the site, you can send a link to Sierra Planet on Twitter, or email Kat. We’re mixing up the fan art today, and not only posting something from Deviant Art (as opposed to Twitter), but also King’s Quest IV related! 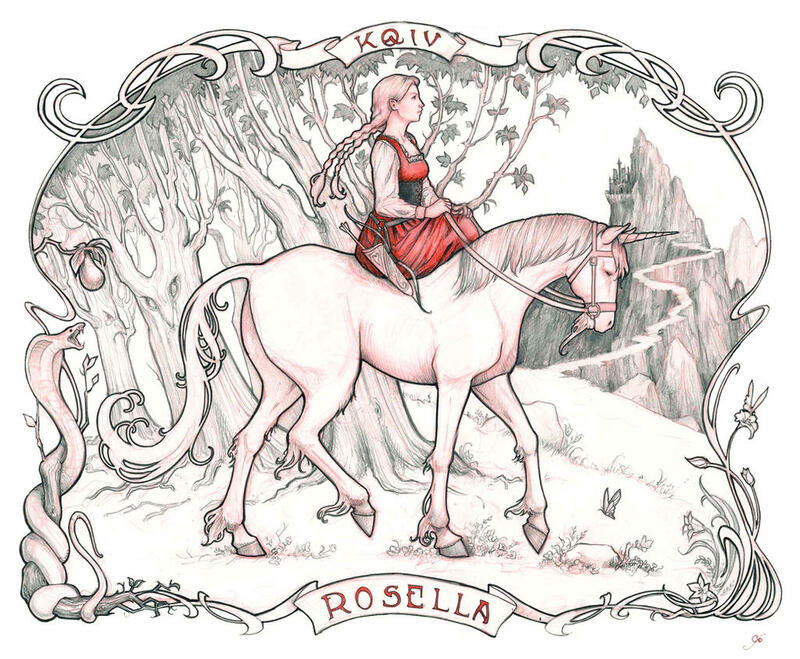 Artist RanmaCMH provides a beautiful drawing of Rosella riding upon the unicorn. 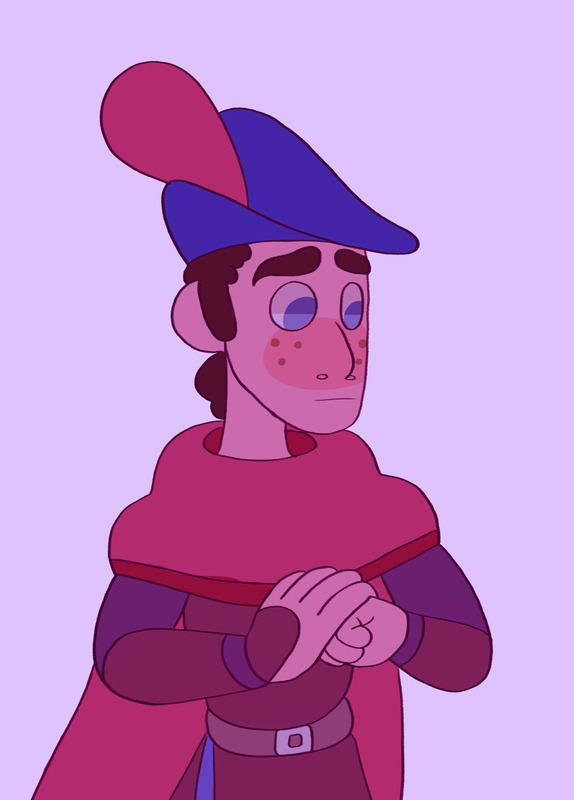 You can see the original artwork here: http://ranmacmh.deviantart.com/art/Kings-Quest-IV-Rosella-461319284. She also has some fantastic Quest for Glory artwork as well! Definitely worth checking out! If you would like your fan work featured on the site, please tweet it to Sierra Planet or email Kat. Josh here again, with some more fan art! This time we have an awesome face shot of young Graham from Chapter 1, by Twitter user @BoneHatter. More to come tomorrow! As always, if you have original fan work that you would like featured on the site, you can tweet it to Sierra Planet or email Kat. Our 2nd piece of fan work comes from Twitter user @Jakface_McGee, who posted a King’s Quest pic inspired by Pokémon Go. More to come tomorrow. If you would like your fan work to be featured on the site, you can tweet a link to Sierra Planet or email Kat.